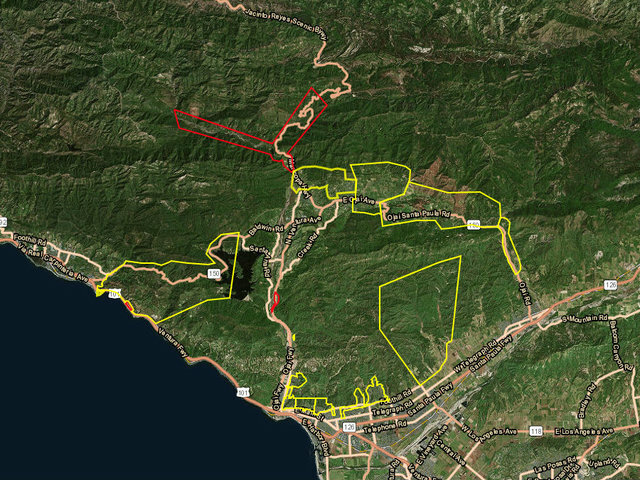 (KGTV) - Thousands of residents in Santa Barbara and Ventura counties are under mandatory evacuation orders Wednesday due to heavy rain that could lead to mudslides and other dangers. Rain began falling across much of Southern California region overnight, with precipitation expected to pick up Wednesday morning and last through Thursday. The heavy rain has led to fears of mudslides for residents downhill from areas burned in recent wildfires, including in Montecito, where mudslides killed 21 people in January. 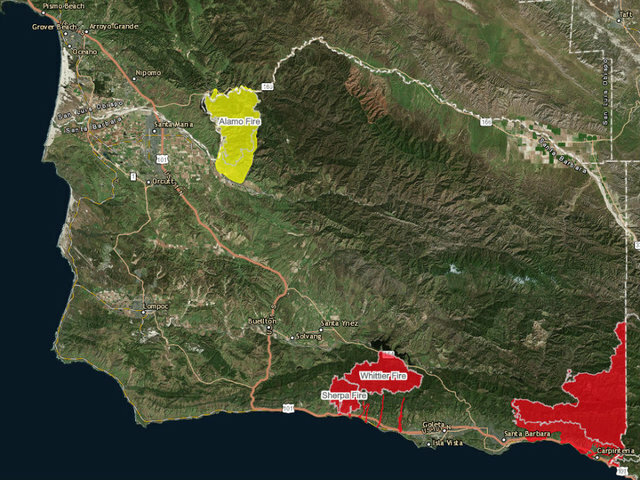 Ahead of the strong storm, authorities issued mandatory evacuations for residents near the Thomas, Sherpa and Whittier burn areas in Santa Barbara County. People in the Alamo burn area were under a recommended evacuation warning area. Updated National Weather Service mapping and data shows the potential for rainfall of half an inch to three-quarters of an inch per hour, which could trigger debris flow. The latest storm system to hit the area is also expected to bring between five to 10 inches of rain to the foothills and mountains. This storm is projected to have the heaviest rainfall and longest duration of the winter storm season thus far. Rob Lewin, Director of the Santa Barbara County Office of Emergency Management, said the amount of rain and intensity is enough to cause flooding even without the impact of the recent wildfires. “We could experience localized flooding and road closures which are not isolated to the burn areas. The threat of rock falls, mudslides and debris flow is high,” he noted. Flash flood watches are in effect for most areas in Santa Barbara and Ventura counties until 5 p.m. Friday. Meanwhile, dry weather is expected in San Diego County Wednesday ahead of the latest round of winter weather. The National Weather Service warned that half an inch to as much as an inch and a half of rain could hit parts of the county. The bulk of the storm is predicted to hit the county Thursday afternoon into Thursday night. Newly released video shows the lengths Caltrans went to in order to reopen Highway 101 after deadly mudslides struck Montecito in January. Caltrans said they had to remove 105,000 cubic yards of material from the highway.